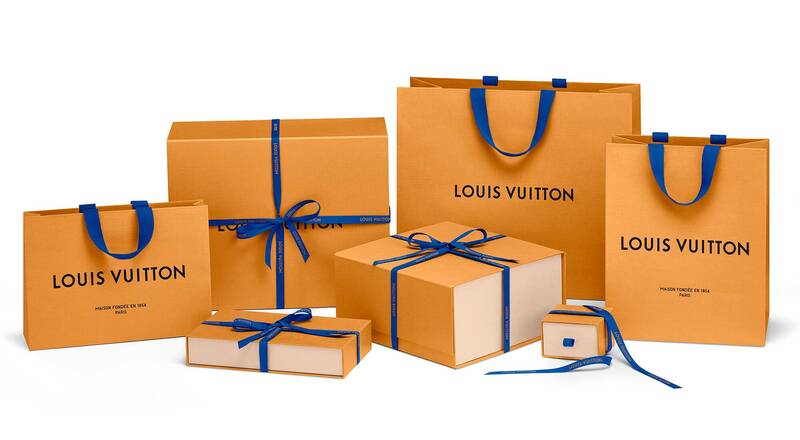 Louis Vuitton has unveiled new product packaging in a bright saffron shade. This distinctive color, part of the history of Louis Vuitton for a century and a half, gives an elegantly distinctive signature to client packages. The iconic brown chocolate color of Louis Vuitton packaging has been replaced by a bright saffron dubbed “Safran Impérial”. Recently seen during the “Volez, Voguez, Voyagez” exhibition, the color in fact first appeared early in the history of the Maison, as can be seen in many iconic heritage pieces. 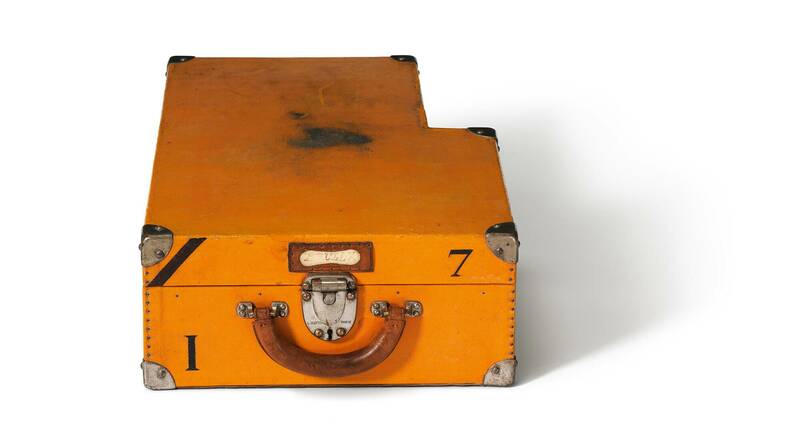 In particular, the saffron tone is found on the “Citroën” trunk made by Louis Vuitton for an expedition to Africa organized by the automaker in 1924. The packaging includes another historic color, the striking blue used in ribbons and handles to set off the saffron, creating a contemporary, timeless signature. The lighter tone on the sides and interiors of the new packaging echoes the natural cowhide leather used by Louis Vuitton since 1860. Stronger materials and new formats designed to fit conveniently in luggage make the packaging perfect for traveling, in keeping with the Louis Vuitton spirit. The use of raw cotton and a flat-pack collapsible design reflect Louis Vuitton’s longstanding commitment to sustainability.